There I was sitting on the train in London on my way to the airport, ready to start a new assignment working as an epidemiologist in Yemen. While standing, holding on to the handrail, I am approached by a friendly man working on the train. He looks at the big backpack on my back and asks me where I am off travelling to. The mix of reactions I received when telling friends, family and strangers of my next destination ranged from horror to excitement to a level of unawareness. Needless to say, I had no idea what to expect myself. Next thing I know, I'm stepping out of a small propeller plane wearing a hijab and abaya, ready to settle in to a new every day. It’s a simple question that is actually quite difficult to answer. It’s such a complex setting and an entirely different way of life compared to what I am used to back home. At times you hear fighter planes flying above. The noise is followed by tremors in the windows, and the next day the news is of new airstrikes in nearby areas. Part of my everyday life here involves following strict security rules. For example, we have only limited opportunities to go outside our compound. During my assignment, I'm not able to walk on the streets or anywhere outside. It is only seldom that we can go to any stores to buy necessities or food, or even grab a coffee, which is something I do every morning back home. As a woman, I respect local habits and cover up when I go anywhere in the car. I wear the local long black dress called an “abaya” and a headscarf to cover my hair called a “hijab”. Outside on the streets, you sometimes hear gunshots. Most of the time these are what’s known as “happy shooting”. For example, it’s a local custom to shoot guns into the air at weddings. Other times though, it’s not happy shooting. To let out any feeling of frustration while also giving me something to do when not working, I run on a treadmill, facing windows covered by sandbags. For many people, all these restrictions might sound as though I am giving up my freedom and living under very difficult circumstances. But, for me it has been an opportunity to make new connections, close friendships, and discover joy even in times of having less. All this while learning to appreciate the smaller, and, I would say, more important things in life. Above all, I think I have learned the incredible ability of us humans to adapt, even in the most difficult of circumstances. The landscape in the country is absolutely breathtaking. The scenery is full of mountains and valleys with a dry and rough desert look to it, which is astonishing when seen while driving on the narrow and winding roads up into the mountains. With the incoming rains from the approaching rainy season, you can see the valleys continually turning greener. Sometimes there are herds of camels or a lonely donkey on the roads. Men wear traditional clothing, with the local “jambia” knife tied to their waists and scarves on their head – a scene that in many ways reminds me of something from the movie Lawrence of Arabia. As an epidemiologist, I gather data and perform analysis on patient information. In Yemen, I focus on data related to the ongoing disease outbreaks in the country, such as cholera and diphtheria. The results of the analysis allow us to identify geographical areas where patients with different diseases come from, allowing us to map “hotspots” in an outbreak. We also use epidemiology to monitor outbreaks as they unfold, helping us to understand their evolution while they are still happening. We can then see where MSF is most needed, as well as groups of people (related to age and gender) who are potentially more at risk from a specific disease. We also use epidemiology to monitor outbreaks as they unfold, helping us to understand their evolution while they are still happening. This means we can see if they are spreading further and whether there is a general increase or decrease in the situation. We call this kind of monitoring “surveillance” – because that’s essentially what we are doing – gathering data so we can watch what’s happening. 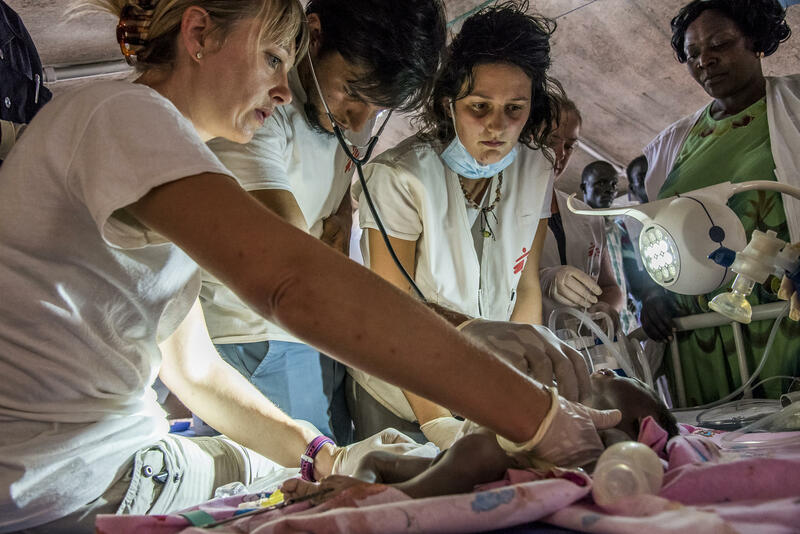 Monitoring and analysing surveillance data then helps to guide MSF’s response. For example, if the data tells us that the outbreak is decreasing in one area, it might mean we can move our teams to an area where they are needed more. My work is really varied. Some days I’ll be working in the local hospitals with our clinical staff to understand their method of collecting information. At other times I’ll be negotiating how to collaborate on surveillance with the local department of health, or recruiting and training new staff. In my next blog posts, I'll tell you a bit more about the people I've met in Yemen, and how we're working together to try to prevent the spread of diseases in communities that have already lived through years of war.